It was a beautiful day yesterday as Mary Ann and Rique got married at the historic Cathedral of the Blessed Sacrament followed by an elegant reception at The Citizen Hotel. 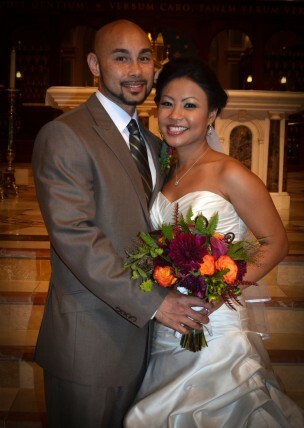 Mary Ann and Rique worked really hard for their wedding. They hand made everything for their wedding — the centerpieces, cake stand/topper, coasters, favors. You name it – they made it themselves. It was very impressive and I don’t think we’ve ever seen as much detail put into a reception as they put in. And it wasn’t just all Mary Ann who did it. Rique painstakingly burned each guests’ name into a piece of wood for their table placeholder. With that much teamwork and the ability to work together so well, it’s no wonder that they belong together! They definitely earned their honeymoon and can now get some much needed rest! On Sunday we wrapped up our double-header weekend by travelling to the beautiful Napa Valley for Kaytlin and James’ wedding at Chardonnay Golf Club. 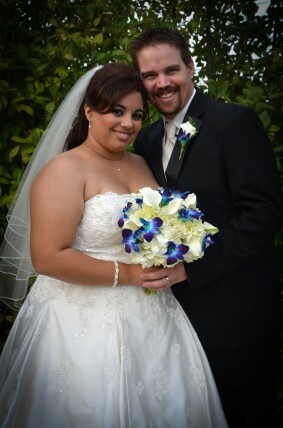 James is related to one of our former clients, so it was so much fun catching up with them while at the wedding. Plus we are always so appreciative when clients are so happy with our work that they’ll recommend us to other family members. It’s the highest compliment we can get. Kaytlin and James are heading off to a romantic week in Santa Cruz and we’ll get hard at work making their wedding video. It was another gorgeous day for a wedding and Diana and Chris took full advantage of it as they celebrated their big day at Scribner Bend. 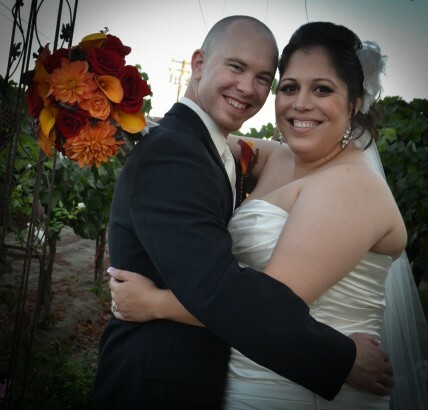 Surrounded by vineyards, Diana and Chris exchanged their own vows in front of their friends and family followed by an elegant outdoor reception. The happy couple is already glad they hired a videographer, saying that the day flew by so fast that at the end of the night they already couldn’t remember things. We’re happy to take on the task of preserving their memories. Can’t wait for them to see their video! 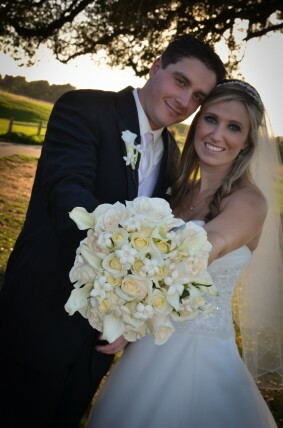 We finished off our double-header wedding weekend with Kayla and Scott’s wedding at the Granite Bay Country Club. Despite the weather being warm and the ceremony site in full sun, once the ceremony got under way the clouds rolled in and it was perfectly overcast. For those of you who wish for beautiful weather on your wedding day, what you really should wish for is for it to be overcast because it makes for the most gorgeous photos and video. 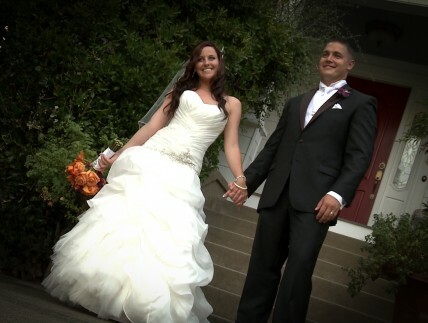 Congrats to Kayla and Scott! We can’t wait for you to see your video! Yesterday we travelled to Newcastle for the beautiful wedding of Courtney and Dirk. While it may have been a little hot outside, it didn’t phase the couple — they had a perma-grin on all day and they definitely enjoyed their special day. Their wedding was definitely video-worthy — the groom and his groomsmen were a bunch of characters and the bride and her bridesmaids were gorgeous in their gowns. We can’t wait to get to work putting together their video!